O Rage anunciou o lançamento de seu novo álbum, "Seasons Of The Black", para o dia 28 de julho via Nuclear Blast Recs. Sucessor de "The Devil Strikes Again" (2015), este é o 23º disco de estúdio do lendário grupo alemão. 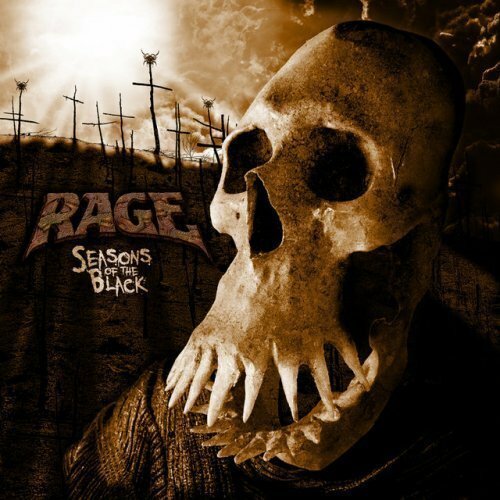 Tracklist de "Seasons Of The Black": "Season Of The Black", "Serpents In Disguise", "Blackened Karma", "Time Will Tell", "Septic Bite", "Walk Among The Dead", "All We Know Is Not", "The Tragedy Of Man - Gaia", "The Tragedy Of Man - Justify", "The Tragedy Of Man - Bloodshed In Paradise" e "The Tragedy Of Man - Farewell". Banda: Peter "Peavy" Wagner (Vocal e Baixo), Marcos Rodriguez (Guitarra) e Vassilios "Lucky" Maniatopoulos (Bateria).